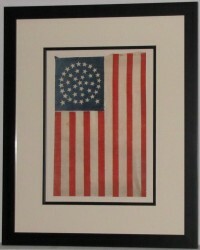 Beautiful 36 Star Civil War Flag. 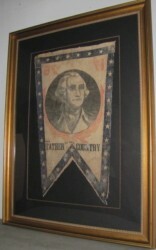 Made by stenciling on to a starched linen type of fabric. Has a unusual star arrangement and alternating up side down stars. Portion of the original stick is still attached. Great colors as the red is turning what we call chrome. A great addition to any military collection. Lincoln pushed Nevada through to statehood on October 31st, 1864, during the Civil War, and just 8 days before the November election. The territory’s wealth in silver was attractive to a nation struggling with the debts of war and so increased support for the Republican ticket. 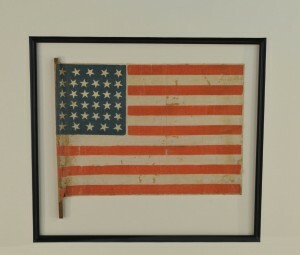 While the 36th star wasn’t officially added until July 4th of the following year, the makers of printed flags are known to have begun adding the 36th star as early as July of 1864, several months before the addition of Nevada actually occurred. 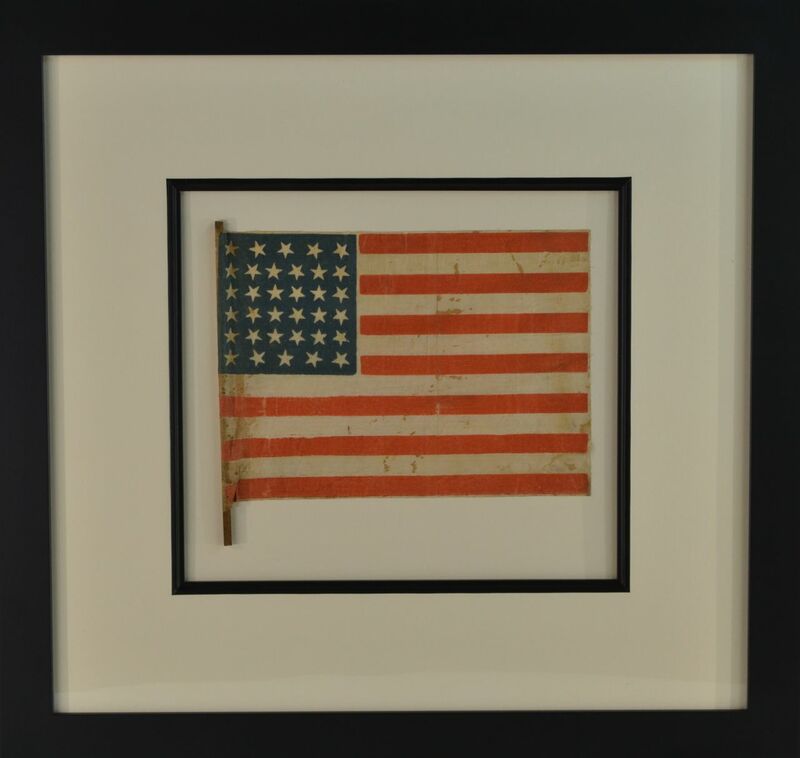 This was a common practice during the late 19th century and is reflective of both the nation’s desire for Westward Expansion and the hope of flag-makers to bring new star counts to market before their competitors. 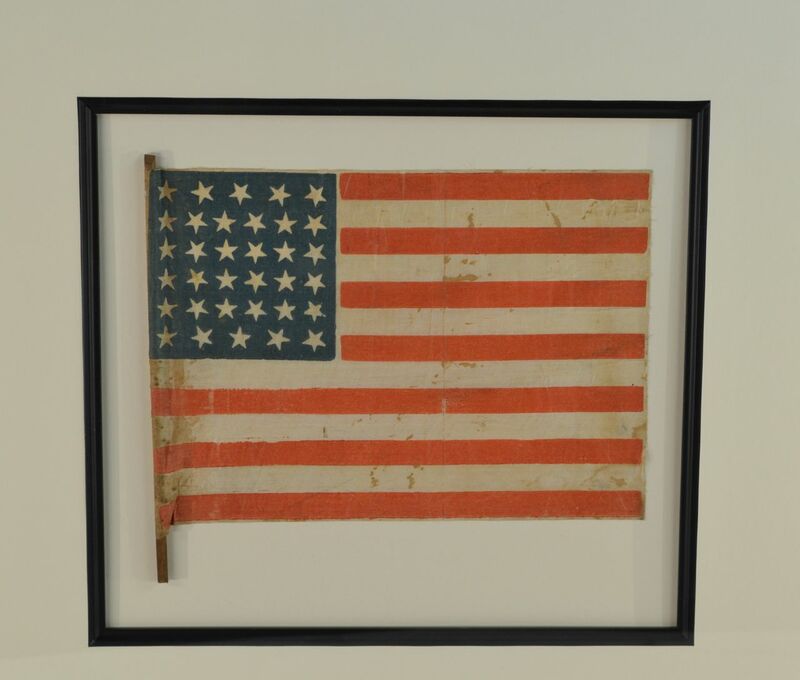 The 36 star flag was officially replaced by the 37 star flag in 1867, following the addition of Nebraska. To purchase please email [email protected] or call.